Katok Situ Rinpoche is a son of Shenphen Dawa Rinpoche and of H.R.H. Ashi Pema Chodon Wangchuk, a royal family member of Bhutan. He is the grandson of Dudjom Rinpoche. 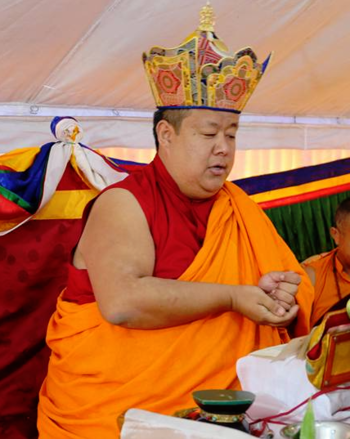 Katok Situ Rinpoche has been recognized as a reincarnation of Katok Situ Chökyi Nyima, and is the 5th in the Katok Situ Incarnation Line. Also known by his given name Jamyang Chokey Nyenji, Kathok Situ Rinpoche was recognized by his grandfather Dudjom Rinpoche, by Chatral Rinpoche and Penor Rinpoche. Nowadays, he looks after the welfare of the Katok Beylangdra Monastery, located in Shar Kazhi, Wangduephodrang, Bhutan.